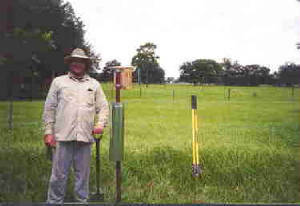 This was the FIRST TRAIL set up in SARASOTA COUNTY. The Monitors no longer live at this location, but Rich lives next door and these boxes are looked after and are active each year. 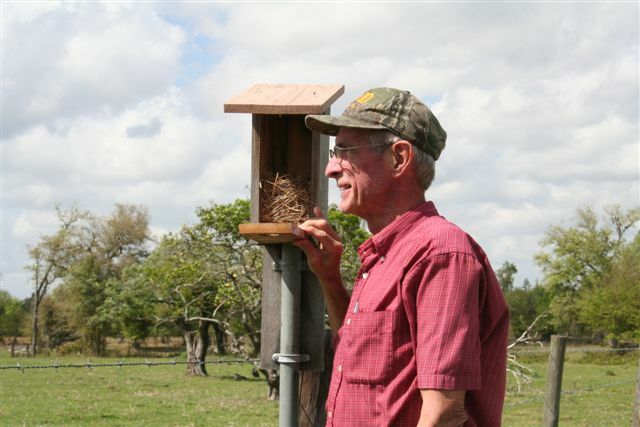 Rich spends much of his time living in Vale CO, where he also is a Monitor of Eagles! His Sarasota Bluebird Trail is now very successful. 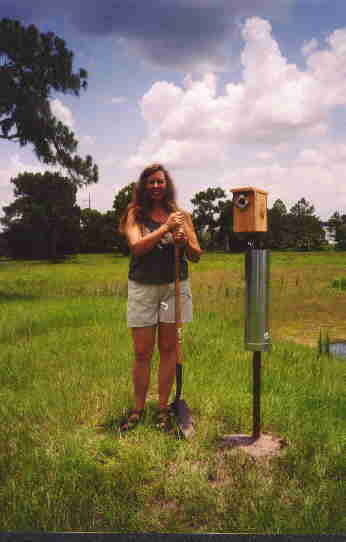 First Bluebird Seen On Back Phone Line, It was what made me start Christy's Bluebird Project. Note: Bluebirds are not yet recorded as found breeding on the West [my] side of I 75. I have heard, in the first five years, of only 3 sightings of Bluebirds, on the West side of the Interstate. I have heard that they are breeding within a 1/2 mile of the East side of the Interstate! I do not have any boxes set up at this time. The first couple of years, I did not even get the House Sparrows in my boxes. D1 is now using the boxes which were donated by the New York Bluebird Society. Arcadia, FL was hit hard by hurricane Charlie. Their donation boxes gave Ken the opportunity to replace his lost boxes. I consider this Trail to be part of the Hurricane Bluebird Trail. Ona, FL is about 20 miles north of Ken's Trail. Ona's Trail also had the donation box replacements. Ken's Trail is found along side of the road which had created some problems with boxes being stolen in the first year. Stealing does not seem to be a problem any more. Ken was about to give up on Bluebirding but, with the new boxes and changes in locations etc. Ken's D1 Trail now is a very active and successful Trail. 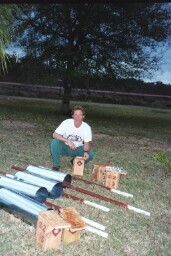 Ken has also distributed other boxes to people in his Arcadia, FL area.